A companion to the book, gives clear pronunciations of the Aramaic Lord’s Prayer and Beatitudes in language teaching style. 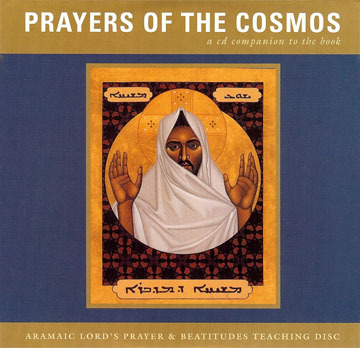 It also contains musical melodies to both the Aramaic Lord’s Prayer and the Beatitudes for chanting, meditation and body prayer. Spoken and sung clearly by the author and composer Neil Douglas-Klotz. This mp3 edition was completely re-recorded with new commentary by Neil Douglas-Klotz in the spring of 2009. It contains improved renditions of the pronunciations of the Prayer and all of the Beatitudes in Matthew.